I don't talk much here about my first book, Forest Cats of North America, because this site emphasizes the arctic stuff that Alexandra and I do. 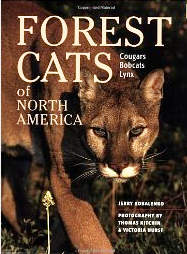 But 16 years after its first publication, this natural history of cougars, bobcats and lynx -- done in collaboration with wildlife photographers Thomas Kitchin and Victoria Hurst -- continues to sell and sell. At the time of writing it, I'd never seen a cougar in the wild. I've still only seen one. But here in the Rockies, cougars are a common presence. Two of them were shot in Canmore last week when they became too comfortable plucking dogs out of backyards. Their fate is sad but understandable: plucking kids would have been next. Today, Alexandra and I were skiing the Cascade Fireroad when we came on the fresh tracks of a young cougar, below, and its mom. Coincidentally, the Cascade Fireroad -- one of the most popular cross-country ski trails near Banff -- was the site of Alberta's sole cougar fatality. 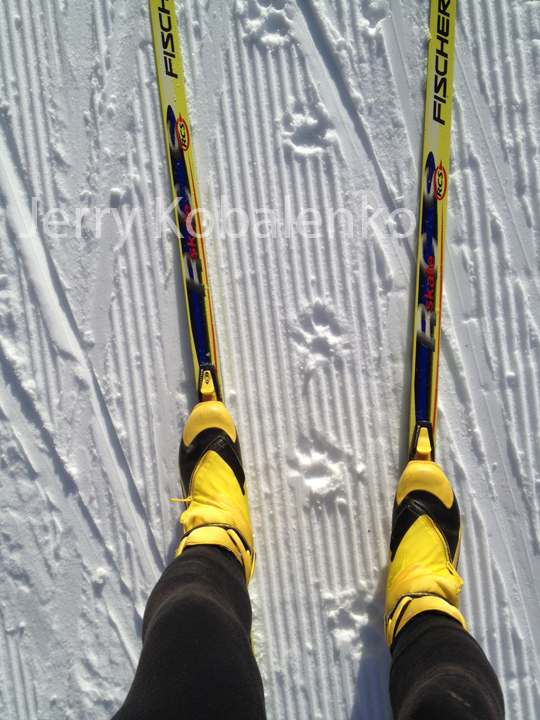 About 10 years ago, a woman was skiing alone in the middle of the day when a cougar killed her about 100 metres from the parking lot, as she skiied back to the trailhead. Cougars are ambush hunters: They strike from behind, flattening their prey (the whiplash from impact has been known to break the necks of elk). In a flash, they're on their victim, biting the back of the neck, severing a vertebrae and killing them. Survive that initial strike, and your odds of fighting off the cat are pretty good. Cougars typically weigh 75-100 pounds (female) and 125-150 pounds (male). Consider this: a 100-pound cougar is easily able to kill a person. Meanwhile, a tiger can weigh 600 pounds. Some writers express themselves in you might call grey prose: the language is simple, does not draw attention to itself, and lacks brilliant turns of phrase. It may still be great writing, full of clarity and insight, but the lack of full color and muscularity of those writers in love with words themselves. Chekhov and Alice Munro are good examples of the first; perhaps it's a coincidence that both also truck in the subtleties and depths of everyday life. The flashy language lovers include classical giants like Shakespeare but also the more oddball: the Victorian travel writer Sir Richard Burton, Henry Miller (one of my first literary loves), Jack Kerouac and French poet Blaise Cendrars, with his peerless descriptions of both the exotic and the everyday: "the rack-railway of the funicular", "retorts in which the weirdest broth was macerating", "a sou's worth of chips in a paper cone or a saucerful of winkles", "a consortium of Armenians dealing in yoghourt, or an association of Greek card-sharpers", "the elongated hull of a steamer of average tonnage". Apart from the larger context in which they appear, these tight descriptions are a delight in themselves. Rack-railway, macerating, winkles...Some words taste so good that you have to find a reason to use them. Great experience today talking to 200 engaged Grade 7 and 8 students. Topic: Fear. 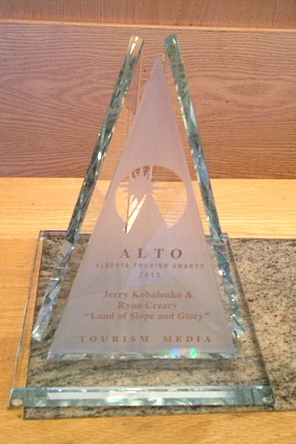 This week, photographer Ryan Creary and I won the Alberta Tourism Award for a story we did for KLM's inflight magazine, the Holland Herald, on winter in Banff and Lake Louise. When a writer wins a tourism prize, half of you wonders, "What did I do wrong?" The other half, of course, is delighted. Laurels don't come that often to any of us. My old editor friend, James Little, a master at scooping National Magazine Awards, once pointed out that winning is never predictable. It depends on the individual tastes of the judges, what type of piece won last year, and other considerations. Being a finalist is the real mark of quality. Sounds potentially hokey -- "We're all winners, etc." -- but there's a political truth there. This year marks the hundredth anniversary of the publication of the first volume of Marcel Proust's novel, In Search of Lost Time. I read it one summer while at university. You could say it was my first voluntary marathon. This seven-volume tome is the opposite of a page-turner. It is much like sledding: a lot of perseverance in pursuit of a few shining moments. 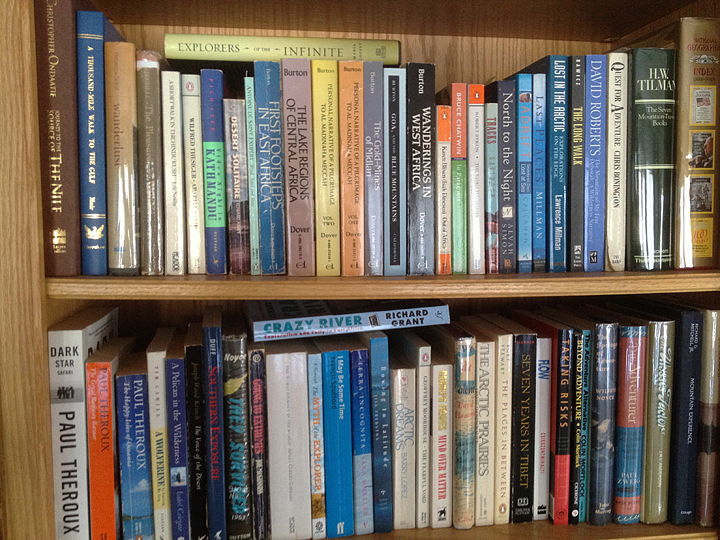 Like the subject of the book itself, reading In Search of Lost Time creates intense memories which can be recaptured. My madeleine (the famous tea cake that triggered Proust's pursuit of the past) might be one of the book's innumerable 1,000-word sentences: No one stacks dependent clauses one on top of the other like Proust did. Some authors never use semicolons; he reveled in them. Sometimes one sentence had dozens. Single paragraphs went on for pages and pages. 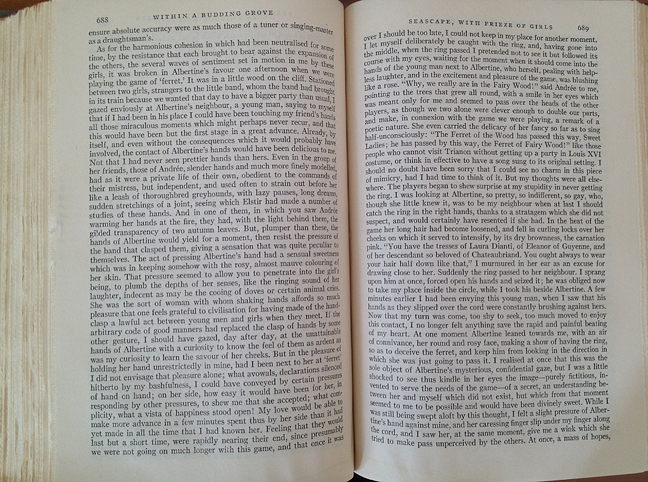 Swann's Way, the first volume that came out in 1913, was quite readable, as was the second volume, usually translated as Within A Budding Grove. Following, however, was a lot of tough slogging. I wished someone who had lived a more interesting life had taken on this task of trying to recapture the details of his past. By volume six, I was at the limit of my patience. If I had to wade through one more 100-page cocktail party in which nothing of interest happened, I was going to give up on Proust. Fortunately, by then I had reached the great last volume, The Past Recaptured, where everything came together and justified all the hard yards required to get to that point. Proust was an aesthete, and one of the themes of In Search of Lost Time is how life can be relived by creating art based on that life. (Casanova also did this in his memoirs in a much more engaging, though less intellectual, way.) But, as a relatively new reader at the time, I also took away something else from this difficult book. Characters in other novels seemed fully formed. They might be alive, but their personalities were not in flux. But Proust's characters evolved over time, just like real people do. Ever since Proust, I've looked at people through the dimension of time. Who someone is today may not be who they are tomorrow. A 30-year-old adventurer may be a stockbroker by 40. You just don't know. Adventure is a game for the young at heart, and since we all age at different speeds, it's impossible to tell the Peter Pans from those whose pursuit of Neverland will last just a few years. One of the bracing multi-page paragraphs from In Search of Lost Time. I've always had more trouble writing leads than endings. I figured that I was just better at endings, and my struggles with leads were just a personal weakness of craft. I no longer struggle with leads, at least at first. I just jump into the story in any old way and return to work on the lead later, when the shape of the piece is much clearer. I wish someone had told me from the first that that's the way it should be done: It's easy to waste hours staring at a blank page trying to come up with the zinger or perfect anecdote to lead into the piece. 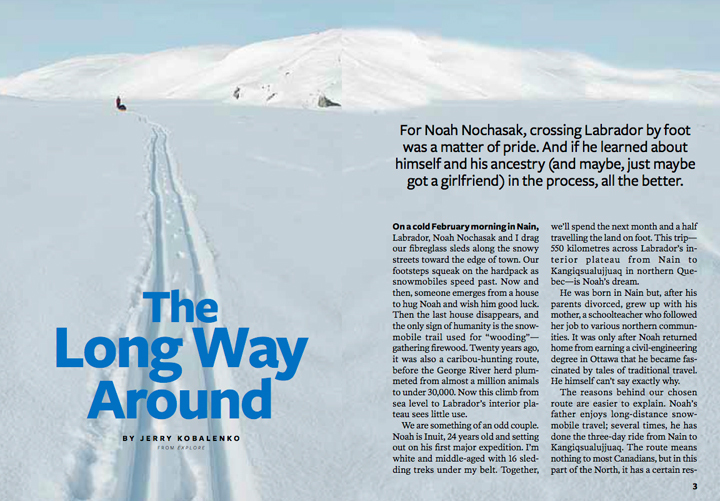 The new (April) issue of Reader's Digest here in Canada has a condensation of the story I wrote for Explore magazine on the 550 km winter journey Noah Nochasak and I did last year. They used several photos that weren't in the original, including the lead shot, below. 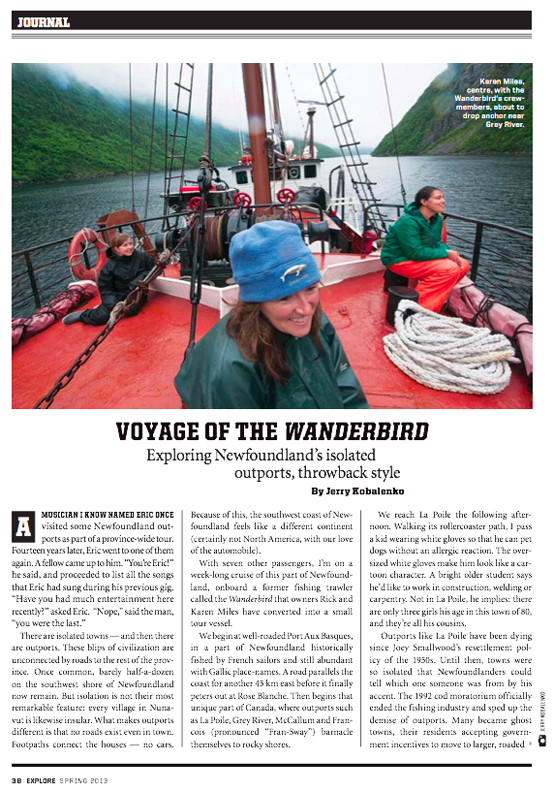 Speaking of Explore magazine, the new issue includes a piece of mine on the outports of southern Newfoundland seen from a converted fishing trawler called the Wanderbird. A lot of travel writers ruin the goodwill they've built up with readers by interspersing their engaging adventures with a Coles Notes history of the place they're in. It's different if they have a personal take on a place's past, or are particularly knowledgeable, or give the history lesson in style. But usually the writers are not much interested in the subject themselves but feel obliged to burden the reader with it. These sections just scream Filler! Admittedly, the shelves also include some oddities: Slavomir Rawicz's The Long Walk is fiction pretending to be fact, but a great read nonetheless. Rory Stewart's The Places In Between is a fine book about the author's 2002 walk across Afghanistan shortly after 9/11; but how mature/old this guy seemed to be even in his twenties! Little wonder that he became a Conservative politician in his thirties. Some books, like The Road to Oxiana, are there out of duty: some readers peg this as the best travel book ever written, though I could never get into it. Every so often, I try again. The Worst Journey in the World is another common candidate for that esteemed laurel, and it really is great, except that it's 400 pages too long. The story of his winter journey and the last three or four pages are the parts of the book on which its reputation is based. Forgetable passages on the Scott expedition fill the rest of its 600 pages. 1. 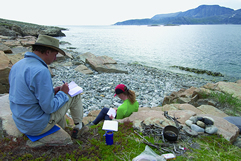 Expedition book. A post-trip pr vehicle. With exceptions, little attempt at quality. Tends to be full of misspellings and incorrect history. Sponsors names dropped with a thud at every opportunity. Attempts to give the journey a prominent place in the adventure pantheon of the region. Usually a forgettable product, even in the case of genuinely impressive expeditions. 2. Labor of love. A talented person who is neither a professional writer nor an adventurer does a journey of love and writes a surprisingly moving book about it. It may be their first and only book, and/or their first and only expedition. Supports the truism that everyone has one good book in them. 3. Geezer's memoir. A vain old scientist or police officer recalls the six months or one year they were stationed in the Arctic 40 years ago. They are under the impression that they are making a modest historical contribution; most are not. Generally readable by speed-skimming in 10 minutes. 4. Guidebook. Can be exceptional or pretty useless, depending on who does it. The best guidebooks include little stories gathered about the region rather than mere inventories of plants, animals, rocks, etc. Trouble is that most guidebooks tend not to pay the writers very well, so there's little incentive to do more than a serviceable job. There are exceptions: a hoary classic like The Canadian Rockies Trail Guide has sold hundreds of thousands of copies. 5. Journalist's job. A journalist heads up north, hangs around the villages, chats up the scientists, and writes about a contemporary issue like climate change or arctic sovereignty. Tends to be dull and predictable: Polar bears in trouble, Inuit are victims. If you read to pick up a few facts, without expecting any original insights, you won't be disappointed. 6. Rare gems. A scientist who knows how to write, or a writer who knows how to research, gets a bug about the North and produces a one-off work of total originality. Differs from #2 on this list in that the author is a professional, and the book is not necessarily about a single journey; otherwise, similar. 7. Historical rehashes. Very popular, ever since the revival of interest in Shackleton as a model of corporate leadership. A mildly new take on some old explorer, with lots of background filler. The more dramatic the saga, the less impressive these new versions tend to be, because those classic tales have already been well-mined, and pending the discovery of new information, most of what can be said, has been said. 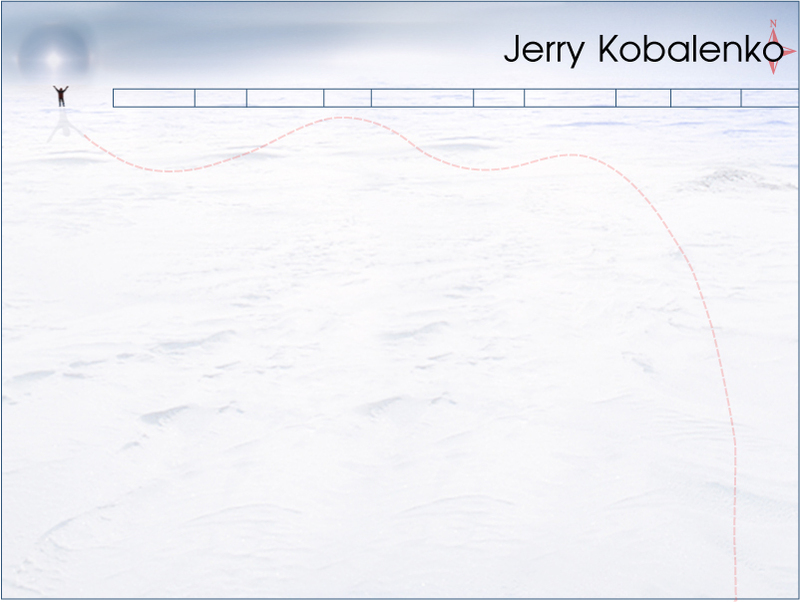 All words and images ©2008-13 Jerry Kobalenko. Unauthorized use strictly prohibited by law.